REALITY CHECKPOINT | Motorists' Rights... Matter! | Motorists' Rights... Matter! Colter's Guide to the Police States of America! Shocking title without a doubt. Nonetheless, if you have an interest in public safety and due process his video's content, like it or not, tells a compelling story that those involved here need to know, or know about and the information herein, or share it with others that should also know about it. If you sign up at his site www.motoristunion.org the video download is free. After you're signed up, re-login, then you can download full video; it takes 10 minutes or so. We agree with him that the USDOT Under the Color of Federal Law, via the MUTCD and UVC etc has purportedly suspended the US Constitution, your inalienable rights, substantive and procedural due process, equal protection etc when you enter a roadway - all at the expense of safety. Was LaHood’s Decree Banning Driving and Texting Illegal? We are still a nation of laws, which seems to be a concept lost on the USDOT. 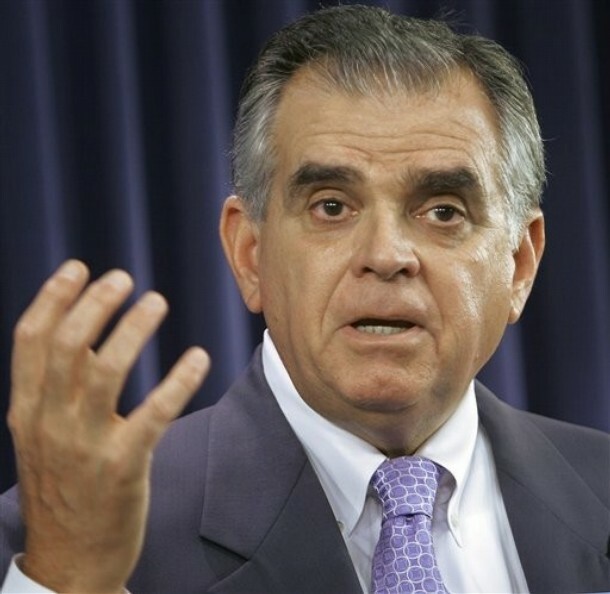 LaHood’s texting ban decree lacked the statutory requirements of a federal regulation therefore it was illegal. While the intention of the law may have been noble, at the end of the day he is a political appointee and as a member of the Executive Branch his actions, as with the entire regulatory authority of the USDOT, is governed by a statutory process, and a decree by LaHood doesn’t change that. He is an administrator and his opinion or decree does not make law. LaHood Grandstands on Driving and Texting with new Decree Banning it, but what are the True Consequences. Vehicle telemetry, satellites and ever advancing smart communication and driver safety systems are improving our commercial fleet efficiencies and safety, BOTH. Keeping trucks on dedicated routes, eliminating trips and smart telemetry in some studies have shown to reduce travel times 4 days a year, while these vehicles have also been shown to have better safety records. As our National fleet safety record is improving why would the USDOT take a safety issue out of context in a populist effort to pretend it’s solving a major safety problem. Yes hand texting on a personal device is foolish and unsafe in many or even most instances, but not all, and at what price? Missouri must be given KUDOS for their courage to think outside the box. We have seen other efforts like this but this one finally hits home as a serious retrofittable interchange solution. Most interchanges resemble large paring lots with gates and once the demand exceeds capacity the excess backs up onto to the interstate, causing accidents, flow chaos and destruction of flow capacity. This solution improves every aspect while reducing the conflict zones, while the excess demand for the surface streets does not overflow onto the interstate. We have a solution to enhance guidance and further reduce possible confusion, day or night; nonetheless YES. By the Numbers: Gross safety distortions go mainstream. The Oregon Department of Transportation and State Police initiated a propaganda blitz based on invented data to garner support for Oregon’s speed laws and increased OSP staffing. Release inferred 49 percent of their highway fatalities where caused by speed in excess of the posted limit; whereas, its data shows it to be 8.5 percent if you accept their procedures, we don’t, and less than 1 percent of the state’s attributed cause for all accidents. Oregon State Police - Speed was a contributing factor to this fatal crash on U.S. 26 near Elsie on July 20.